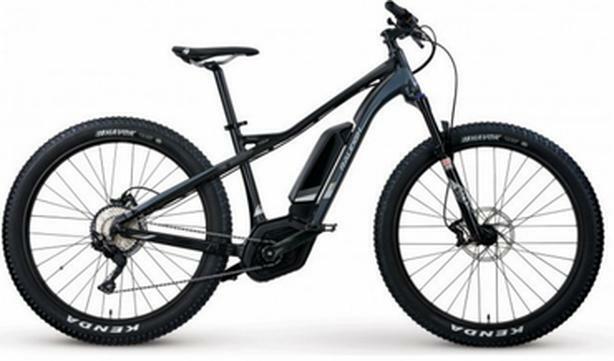 The Raleigh Tokul iE electric mountain bike is equally at home clawing up mountain switchbacks, or spinning along a cinder path down by the canal. The powerful, yet intuitive Bosch Performance CX mid-motor offers pedal assistance as you want it with manual modes and an 'automatic' E-MTB mode that matches your pedaling input across the entire range. The Plus sized 27.5-inch wheels and tires lend amazing traction to your ride and the RockShox Judy suspension fork takes the edge off bumps in the trail to keep you comfortable and in complete control. This is one fun bike!